The CW already has four DC Comics adaptations airing on the network, but they’re now officially adding a fifth. It’s been revealed today that Black Lightning has been ordered to series, news which doesn’t come as a huge surprise considering the fact the buzz around this one has been pretty positive so far. There’s currently no solid word on when it will premiere, but 2018 seems highly likely. Legends of Tomorrow‘s first season debuted in January, so it’s possible that the same could happen for Black Lightning. Whether or not the character will first show up there or in Arrow or The Flash also isn’t clear at this stage, but we’ll be keeping our ears to the ground for more. Salim and Mara Brock Akil (Being Mary Jane) are serving as the showrunners on the project, while Greg Berlanti (the man spearheading most of the DC TV shows) will produce alongside The Flash‘s Sarah Schechter. Cress Williams has been cast as Black Lightning and Nefessar Williams and China Anne McCain are playing his daughters. 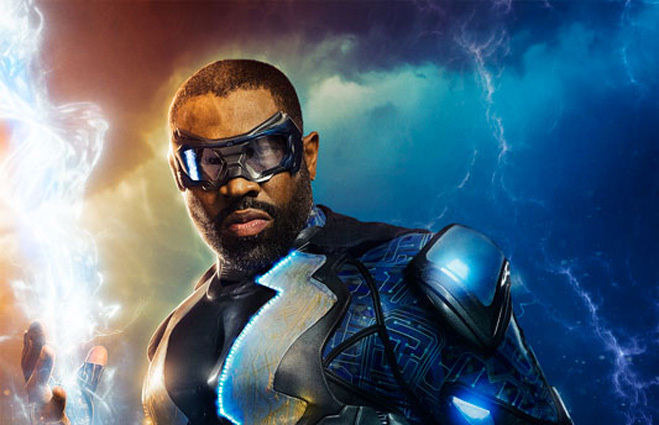 Black Lightning looks set to be very different from The CW’s other offerings, and while that’s definitely not a bad thing, it’s hard to say just how much interest there will be in the series when the titular hero is pretty much a complete unknown. Even the most casual of fans know Barry Allen and Oliver Queen, but Jefferson Pierce? He’s certainly not a big name, so it’ll be interesting to see if the show is able to stand on its own.